The U.S. economy today is confronted with the prospect of extended stagnation. This book explores why. 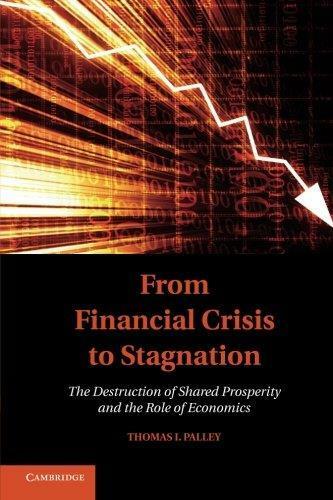 Thomas I. Palley argues that the Great Recession and destruction of shared prosperity is due to flawed economic policy over the past thirty years. One flaw was the growth model adopted after 1980 that relied on debt and asset price inflation to fuel growth instead of wages. A second flaw was the model of globalization that created an economic gash. Third, financial deregulation and the house price bubble kept the economy going by making ever more credit available. As the economy cannibalized itself by undercutting income distribution and accumulating debt, it needed larger speculative bubbles to grow. That process ended when the housing bubble burst. The earlier post-World War II economic model based on rising middle-class incomes has been dismantled, while the new neoliberal model has imploded. Absent a change of policy paradigm, the logical next step is stagnation. The political challenge we face now is how to achieve paradigm change.